Recently we've been presenting articles about development environments for Linux, Windows, Mac and the Cloud. In this article, Shaumik looks at moving from one to another. Last year, I got myself a Macbook Air for two reasons: a powerful terminal and popular graphics software. I thought the transition would be smooth; but only when I started the process did I realize the complexity of the task. SitePoint recently published articles on setting up a development machine on Ubuntu and setting up a development machine on a Mac. In this post, I'll look at the subtle differences you might face when shifting your development environment from Ubuntu to OS X, or vice versa. 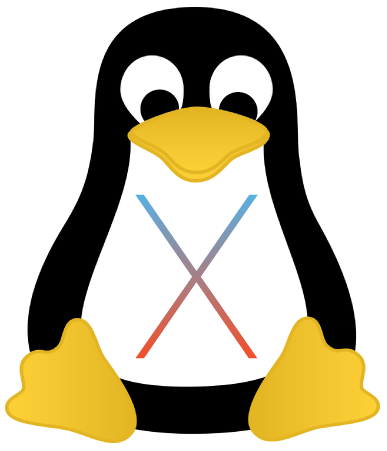 Let's first talk about what you can expect on OS X if you're used to Ubuntu. OS X, owing to its high market share, has a large developer base. Therefore, almost all pieces of software have an OS X installer. How you install them is interesting. An installer usually walks you through the installation (much like an installation wizard on Windows). Some packages might be available in the form of .dmg files, which are none other than compressed files. You need to move the extracted application to the Applications directory. Removing such packages just requires removal from the Applications directory. Here's a guide on installing downloaded software on a Mac. 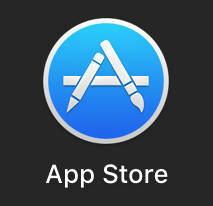 Alternatively, the installation of applications might also be done through the App Store. However, not all applications are available there. Those that aren't — such as browsers like Chrome and Firefox, and text editors like Sublime Text — are easily downloaded from their respective websites and installed as described above. In the terminal, most commands are similar (except those that are specifically package related). For instance, running the grep command to search for a phrase is exactly the same. However, if you're interested in developing scripts that run across platforms (including old Mac versions), you may find this guide by Apple developers interesting. Further, for the list of subtle differences in commands, visit A Sysadmin's Unixersal Translator, by Rosetta Stone, and select OS X and Linux from the list of operating systems on the top left corner. 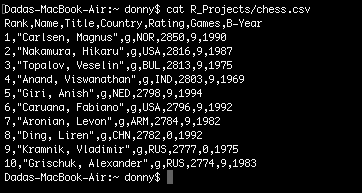 From the list, you can see that the usage of most commonly used commands is the same. Ubuntu has apt-get as a package manager, whereas Fedora has yum. Unfortunately, there's no default package manager for Mac that magically installs every new piece of software you might wish to have. Although there are many alternatives like MacPorts and Fink, the best package manager for Mac is probably Homebrew. In case you're interested, here's a comparison between the three options. The installation script is in Ruby. Ruby comes pre-installed on a Mac. During installation on a fresh machine, you're prompted to install components of XCode Command Line Tools, which you need to approve. To verify that Homebrew has been installed, you can run brew info. Almost all developers today — especially those working in teams — need to use version control to collaborate. The most popular version control tool is Git, although many prefer Mercurial or Subversion. Matthew explained his choices for version control in his post, such as GUI tools like SourceTree or GitX. These GUI tools come with their own version of Git. SourceTree supports both Git and Mercurial. If you prefer using version control through the command line, you need to install your version control system separately. Git has a package for Mac, but if you need the latest development version, you'll have to build from the source. Note: if there's a separate version of Git/Mercurial present in your system when you install SourceTree, you'll be asked whether you want to use the version in your system or the version bundled with SourceTree. If you're one of those who can't wait to get started, this is the section that starts the coding. Thankfully, most of the important stuff comes pre-installed on the latest version of Mac OS X — El Capitan. In addition to Python, Ruby and PHP, El Capitan also has Apache 2.4 pre-installed! In OS X, the apachectl command runs Apache, as compared to apache on ubuntu. You can use MAMP stack (Mac, Apache, MySQL, PHP) to get the bundle (similar to LAMP for Linux and WAMP for Windows). This lets you start development quickly, without worrying about individual installations. MAMP has a specific installer, which you can run every time you want to start the development environment. Working with MAMP is similar to using WAMP or LAMP. MySQL comes with an installer for Mac. Installing it is a simple process, as explained on the MySQL website. Similarly, PostgreSQL can be installed on Mac OS X through an installer or through Homebrew. MongoDB doesn't have an installer for Mac. In the absence of a package manager, you would need to compile MongoDB from the source if you don't use a package manager. Over the last year, I've realized that a Mac boosts your productivity — if used the right way. There's a number of productivity apps for Mac that one must use. Caffeine is a useful app, which, when activated, prevents the screen saver, screen dimming, or the system going to sleep. It's just perfect for running scripts that might take a long time to execute. Google Drive and Dropbox are essential too, for keeping your local files synced with the cloud. Drive and Dropbox sync files in their special folders, but MacDropAny lets you drop any normal folder and covert into a Drive or Dropbox folder. SuperDuper is a data loss prevention app that one must definitely try. Finally, Jumpcut is like an extended clipboard that remembers all the stuff that you copied. In this post, I looked at the process of shifting your development environment from Ubuntu to Mac OS X. Although I've described the manual process, there are services like Vagrant and Docker that help you make portable development environments that make setting it up on a new system fast. Do you agree with my development environment? Is there anything important that I missed out? Please speak up in the comments below.